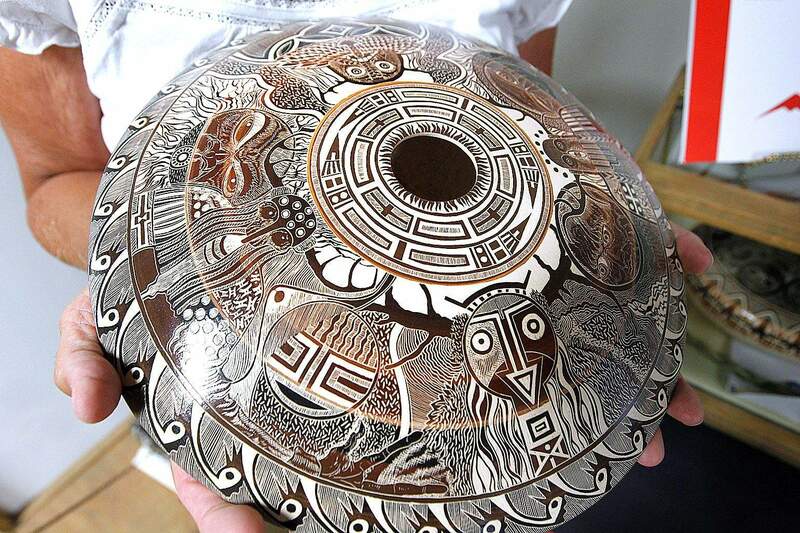 Pottery made by artist Norman Lansing, a Ute Mountain Ute tribal member. The Southern Ute Indian Tribe teaches children their native language in the tribes Montessori School. Editor’s note: This is the second in a two-part series. Experts and tribal leaders say culture is a critical component of American Indian life, affecting tribes’ interactions with government, family, the environment and their neighbors. But some say the practices and teachings of their heritage are fading within the Ute Nation’s tribal membership, and it could have painful effects for both the tribes and their neighboring communities. As tribal members and leaders work to preserve the rites, spiritual beliefs and daily practices that make up their culture, many say the first place to start is by preserving the language. It is at the heart of the tribes’ culture and spiritual songs. And for centuries, it was the only way through which their traditions and rituals were passed down. With each generation, fewer tribal members are fluent in the Uto-Aztec language passed on by their ancestors, tribal members said. “We don’t want it to become a dead language,” said Pearl Casias, Southern Ute chairwoman. When Casias was sworn in to office last year, tribal members celebrated the inauguration of a leader fluent in the language. The language once was at the root of Ute teachings covering everything from spiritual practices to medicine and hunting. Knowledge was passed down generationally through a strong tradition of oral storytelling. But those days have fallen to the wayside, tribal officials said. And as the tribes’ critical oral traditions die, so do many of the practices once taught through the native tongue. Southern Ute Culture Department Director Stacie Oberly estimates that only a small percentage of the tribe speaks and understands the language. Even fewer, just a few dozen, are fluent in it, she said. The number of fluent speakers is higher in the Ute Mountain Ute tribe, where the reservation isn’t dotted with private non-native landowners, said Manuel Heart, Ute Mountain Ute council member. Still, fluency numbers are dangerously low and falling, he said, with less than a quarter of the tribe’s 2,100 members fluent in the language that’s largely similar to that of the Southern Ute tribe. “We’re really concerned about our language and culture,” Heart said. Loss of the language led the Northern Utes to build a school for high-school-aged children that includes language and culture as part of the curriculum. And the Southern Utes built a school with the same philosophy and goals for preschool and elementary children. The Ute Mountain Utes hope one day to open a middle school that could close the instructional gap for the Ute Nation’s youth, ensuring the teachings are lifelong through their education, Heart said. It could take a decade or more to make it a reality, though, he said. In the meantime, the tribes are working with school districts to gain more instruction on native language, history and culture. They face challenges, however, because so many tribal members who speak the language fluently are not officially qualified to teach in Colorado’s public schools, Heart said. But there’s hope as efforts spring up locally and around the country to save and document dying languages. Initiatives such as the 2011 National Native Language Revitalization Summit this summer on Capitol Hill are encouraging collaboration. The White House is considering an executive order on Native American language revitalization that would officially recognize the historical damage the federal government inflicted on Indian tribes and would seek to develop federal plans, committees and collaborative efforts with tribes to revitalize and protect tribes’ languages. And many organizations and tribes are infusing the efforts with grants and other financial help to create language-preservation programs for tribes that cannot afford to fund their own initiatives. 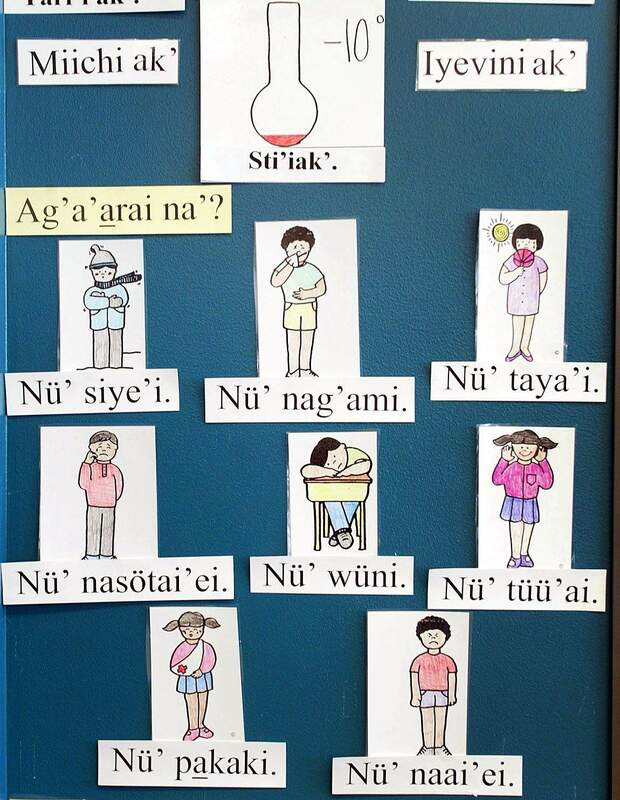 But programs alone won’t be enough to save the Ute language, Oberly said. The teaching efforts will require consistency in the home and the community. 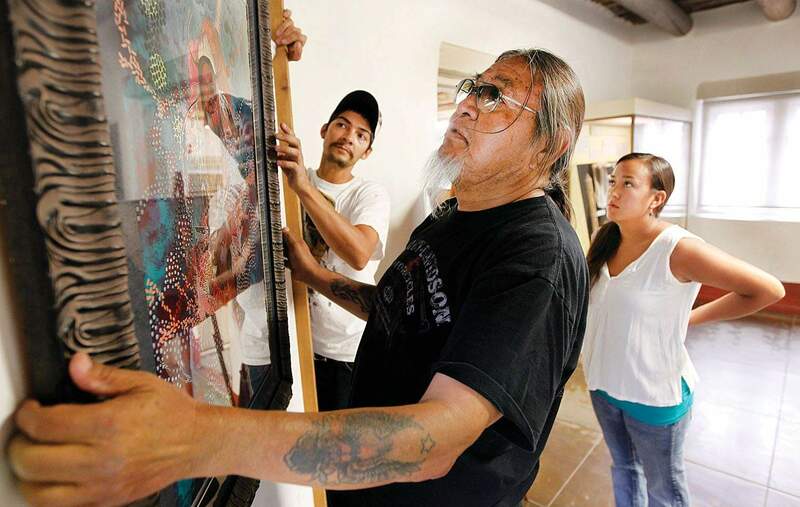 “This type of work requires a high degree of commitment from the families and individuals in the tribe,” Oberly said. Reporter’s note: Information about a language convention was removed from this story because the plans were never made formal by tribal officials.